Variations on a popular theme – Triple barf-in-a-basketTM, called ‘sauerkraut salads’ here, served with golf balls. 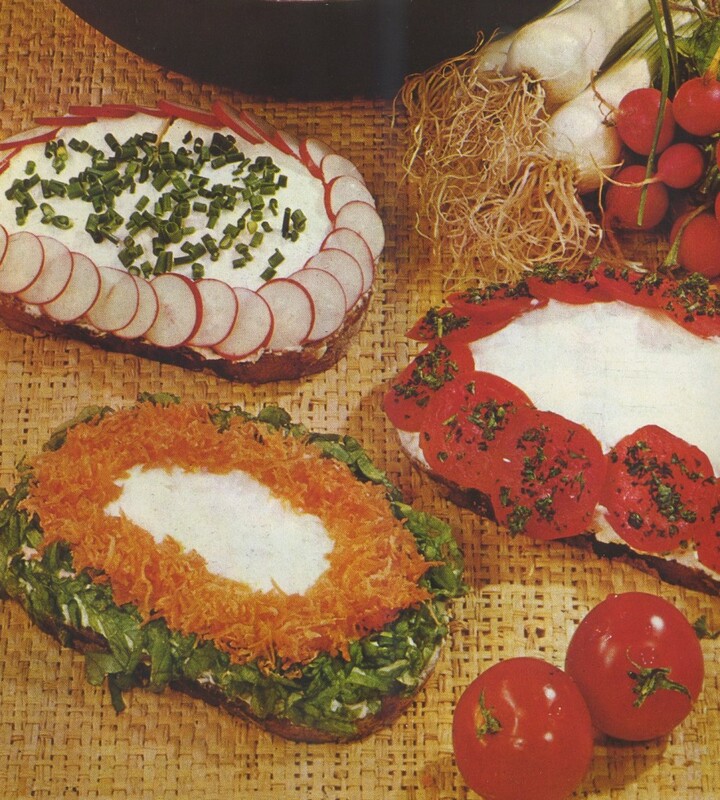 What looks like embroidered slippers for aliens are slices of bread topped with quark and funky vegetables. 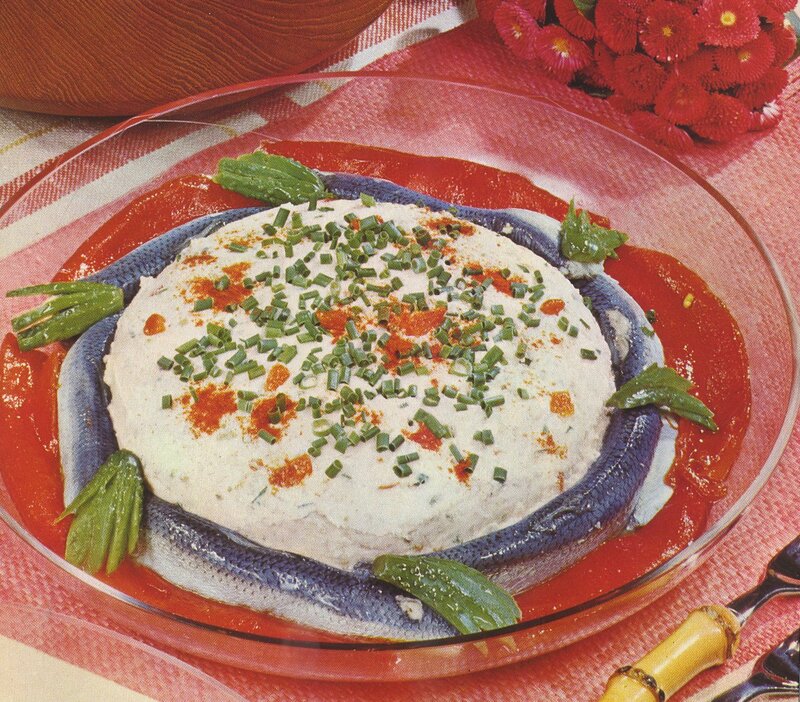 Pickled herrings in an around quark and gherkins used as a cheesy seaweed imitation. 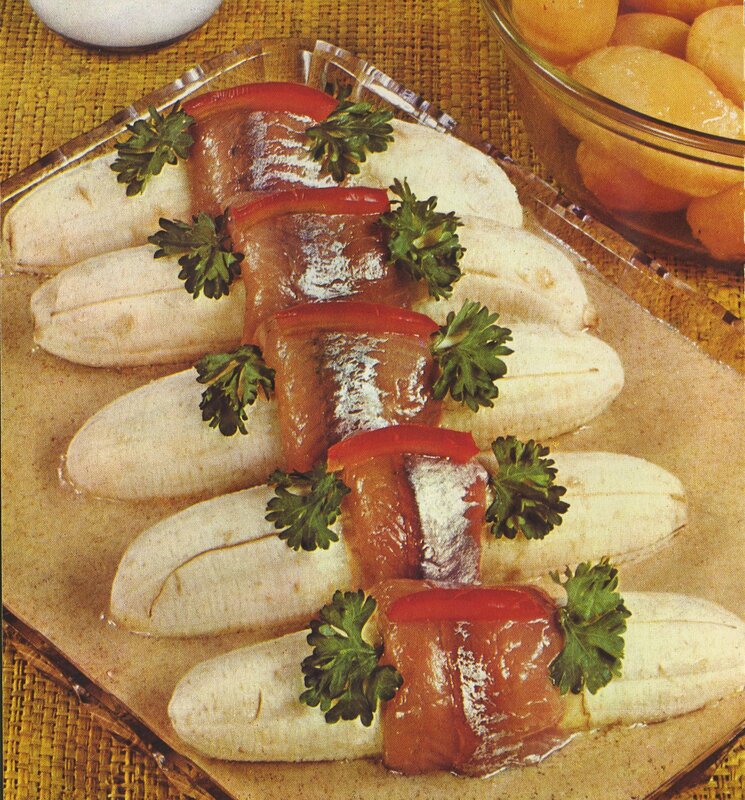 No guess games with this one – Bananas wrapped in brined ‘Matjes’ herrings, must be a tradtional dish from Ecuador. 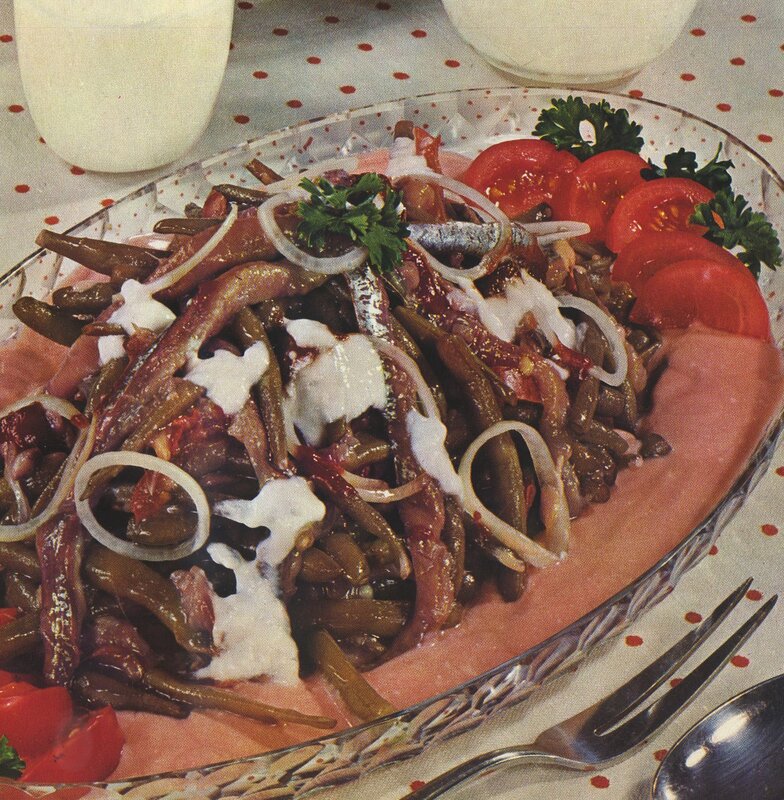 Germans LOVE herrings. Where is the milk? Only used to clean the fish from the brine, thank god. And for the climactic finale it’s brined herring yet again, this time served with green beans and topped with an appetizing load of white goo. Bless you for making fun of German food too. I’d hate to think I was alone with that. 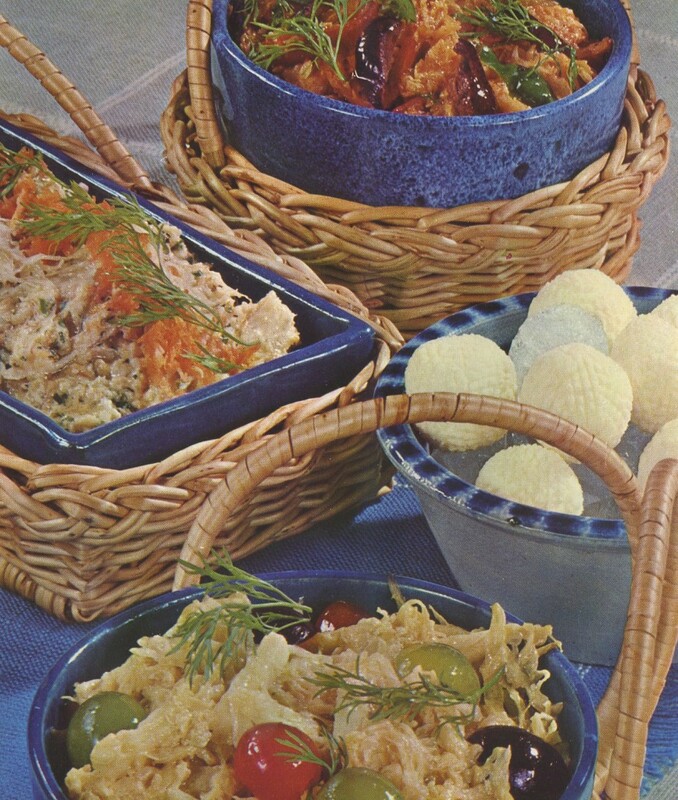 But I must confess – all this stuff looks pretty tasty to me (although I dislike herring – so wouldn’t be able to stomach any of it). Bless you twice over for using the term “white goo”. I wasn’t going to go there – but I’m proud of you for doing so!